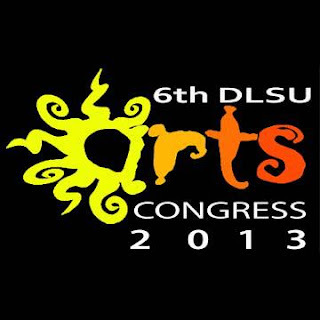 De La Salle University (Manila, Philippines) calls for submission of abstracts for its 6th DLSU Arts Congress with the theme, "LAAD-LINANG: Sining Tungo sa Malikhaing Edukasyon" to be held on February 20-21, 2013. 1.) Submission of an abstract is required for paper and poster presentations. Use the format given below. 2.) All abstracts must be written in English or Filipino and submitted electronically to artscongress@dlsu.edu.ph, bearing the subject: “Paper/Poster presentation, 6th DAC”. Files must bear the sender’s Surname in uppercase letters, followed by his or her given names in lower case letters, and a shortened form of the paper/poster’s title, eg., SANTIAGOjoseArtasEduc. Faxed submissions will not be accepted. 3.) Prepare your abstract as an MS Word document (.doc file format) consisting of 300-500 words using Arial 11-point font typed in letter-sized page, with one-inch margins on all sides. The abstract MUST BE in TEXT ONLY without graphs, pictures or tables, and should contain a title, name/s of author/s (underline the name of the presenting author), department/s and address/es. 4.) Abstracts for paper and poster presentations must contain a brief introductory statement of the research and continue with the summary of the results obtained, followed by a conclusion(s). It is not acceptable to say “the results will be discussed.” The abstract must also include a list of key bibliographic sources. 5.) Standard abbreviations should be used throughout the text. Any special or unusual abbreviation should be spelled out in full at first mention, followed by the abbreviation in parentheses. Please use a minimal number of abbreviations. 6.) Symbols (i.e. Greek) can be used as well as boldfaced, underlined and italicized characters. 7.) Include acknowledgements of the source(s) of research support (if any) on the bottom line of the abstract. 8.) Check the abstract carefully for grammatical or typographical errors. 9.) Upon submission, you will receive an email confirmation with an abstract reference number. Please use this number in all future correspondence with respect to your abstract. 10.) If the abstract of the paper is accepted, the author has until October 19, 2012 to submit the final manuscript, which will be published in the conference proceedings. If the paper is not submitted by the said date, only the accepted abstract will be included in the proceedings. 11.) Presentations on the days of the conference must not exceed 20 minutes each.